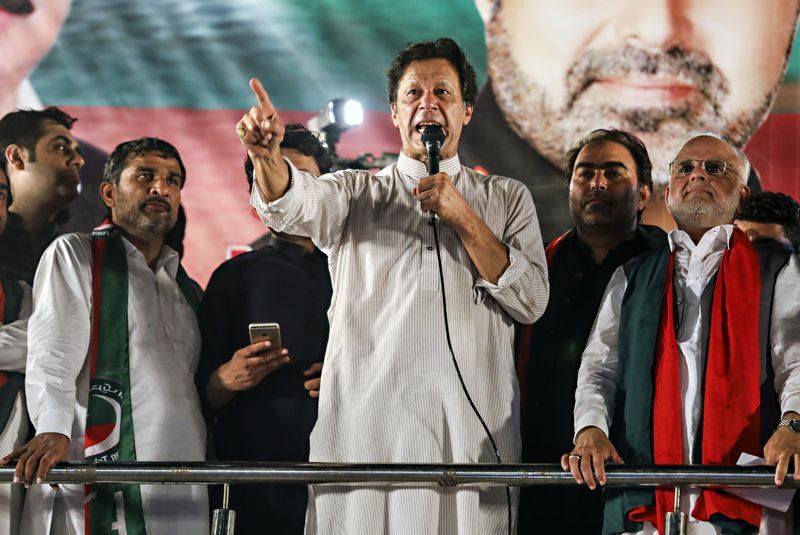 Despite his rhetoric for change, Khan hasn’t made significant headway during the first hundred days, according to a review published last week by PRIME. His administration has completed 43 percent of its set tasks, almost half of those being the creation of task forces or staff appointments, according to the government’s tracking website. The former cricket star and his top leadership are sincere about implementing structural reforms and eradicating deep-rooted corruption, according to Western diplomats and government officials. But the government is in disarray, with multiple ministries unable to execute decisions, they said, asking not to be identified to avoid fall out with Khan’s administration. Naeem ul Haque and Iftikhar Durrani, special assistants to Khan, didn’t answer calls seeking comment. The ruling Movement for Justice party says it is delivering on its pledges and that opinion polls show Pakistanis support their efforts. Khan will give a speech on Thursday in Islamabad highlighting his government’s achievements. The nation planned to get financing secured within the first 100 days as it becomes all “the more expensive” as time passes, Finance Minister Asad Umar told Bloomberg in August. Saudi Arabia deposited $1 billion this month of a total $3 billion it pledged to boost the country’s foreign exchange reserves. Talks with the IMF were extended this month after failing to agree on terms for a bailout. Pakistan planned to create a fund like Singapore’s Tamasek to move state-owned companies away from ministry and political intervention in the first 100 days. The new government has completed a study on the loss making state-owned units, but hasn’t completed the transfer that is aimed to turnaround the companies with new private sector management. To become regionally competitive and boost exports, the government announced that it will decrease gas prices for factories, but industrialists complained that the new price has not been reflected in the subsequent month bill. Pakistan decreased tax by as much as half, reducing gasoline and diesel prices in September. The government has started investigations into previous government contracts — from gas to housing. However, the leaders of opposition parties allege the anti-corruption drive is selective and targeting the ruling party’s opponents. Pakistan’s government asked Atif Mian, a professor at Princeton University from a persecuted and minority Muslim sect, to step down from an economic adviser days after his appointment received criticism from a hard-line religious party. The appointment had raised hopes that former cricket star Khan would run a more tolerant government and push back against religious extremism. Khan also selected his friend Zulfi Bukh­ari as his special assistant on overseas Pak­is­tanis, an appointment that was widely criticized.